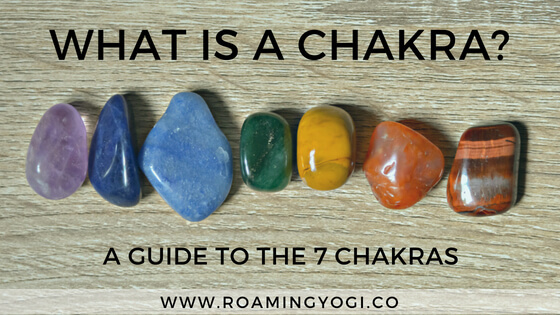 If you’ve been dabbling in the world of yoga for a little while, then chances are you’ve heard about the 7 chakras. 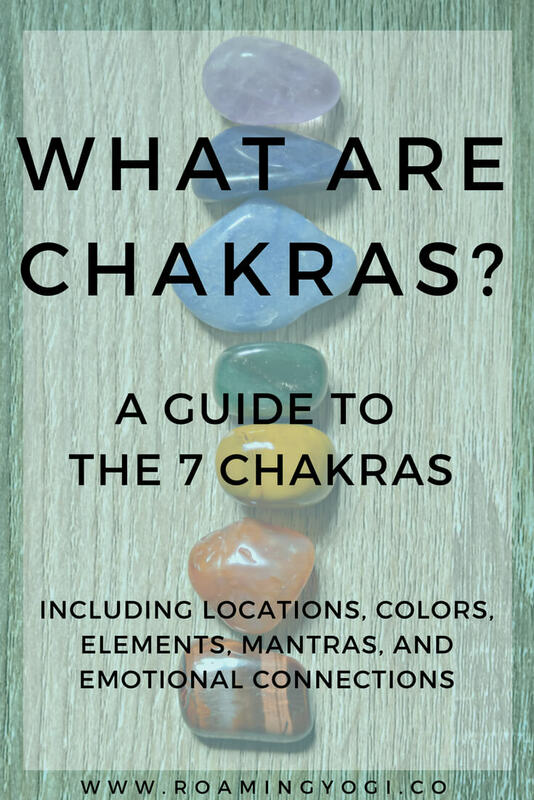 But have you ever asked yourself, “what is a chakra?” If so, this post is for you! Full disclosure, I’ve never really been into chakras. 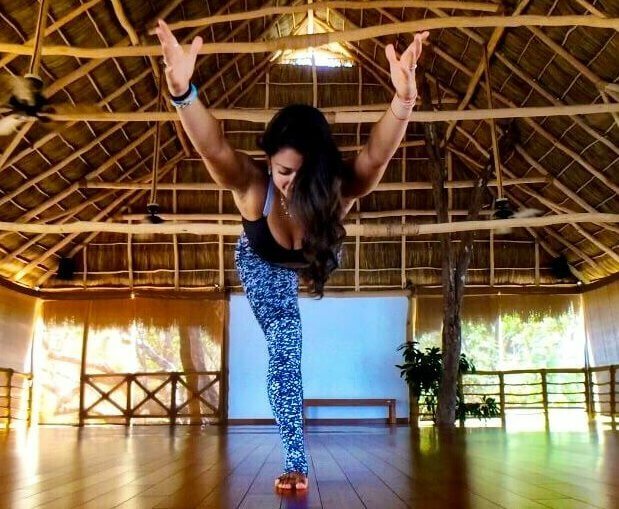 I know, what kind of a yogi am I? The truth is, I’ve been skeptical of their existence and/or validity. I’m more of a ‘believe it when I see it’ kind of girl. But I’m trying to keep a more open mind about things that I don’t know about, and things on the more “woo woo” side that I can’t see or touch. So I’m taking a dive into what the chakra system is all about. To answer the question, “what is a chakra?”, we have to first understand prana and the nadis. In Sanskrit, prana means ‘vital energy’ or ‘life force’. It is the energy responsible for all life experiences, physical and spiritual. The nadis are energy pathways that transport prana throughout the body. I like to think of nadis as subway lines that carry the prana throughout the body. According to yogic philosophy, chakras refer to centralized locations where the nadis converge. I like to think of them like prana subway stations, where different lines meet and cross. The Sanskrit word chakra literally translates to wheel or disk. 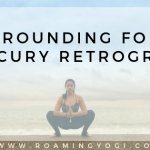 This is because the prana that moves inside of us is constantly spinning and rotating. And where the pathways of prana meet, there is even more spinning. The 7 chakras provide energy to different parts of the body, mind and spirit. Each chakra has a corresponding color, element and mantra. Below is a brief overview of each of the 7 chakras. The first chakra is the chakra of stability, security, and our basic needs. It represents our foundation and feeling of being grounded. Emotional connection: Survival emotions related to financial independence, money and food. The second chakra is our creativity and sexual center. It is related to our connection to others, and our ability to accept others and new experiences. It is also responsible for our creative expression. Emotional connection: Sense of creativity, abundance, well-being, pleasure and sexuality; an ability to go with the flow. The third chakra is our source of personal power. It has to do with our ability to be confident and in control of our lives. Location: Upper abdomen in the stomach area, between the navel and the breastbone. Emotional connection: Self-worth, self-confidence and self-esteem. The fourth chakra is at the middle of the seven. This chakra unites the lower chakras of matter and the upper chakras of spirit. 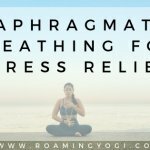 It serves as a bridge between our body, mind, emotions, and spirit. The heart chakra is our source of love and connection. Location: Center of chest just to the right of the physical heart. Emotional connection: Love, joy and inner peace. The fifth chakra is our source of verbal expression. It has to do with our ability to communicate and speak our highest truth. Emotional connection: Communication – speaking and listening, self-expression of feelings and the truth. The sixth chakra is our center of intuition. It has to do with our ability to focus on and see the big picture. Element: It is not associated with any element, as this chakra is considered “beyond” the physical elements. Emotional connection: Intuition, imagination, wisdom and the ability to think and make decisions. The seventh chakra is the chakra of enlightenment. it forms the spiritual connection to our higher selves, others, and ultimately, to the divine. This chakra represents our ability to be fully connected spiritually, and serves as a way of connecting to divine energy. Location: The very top of the head; the crown of the head. Emotional connection: Inner and outer beauty, our connection to spirituality and pure bliss. Learning about the 7 chakras can help us to become more in tune with the natural energy cycles of our bodies. To learn more about each individual chakra and to practice a yoga sequence related to each one, click on the name of the individual chakra.